The steeplechase turns out to be a test of honesty. One of the hurdles in life is to always tell the truth. While swimming at the XSport fitness center this past week, I noticed an athlete in the pool who seemed to know what he was doing. His swimming form was smooth and strong. When he stopped after a few laps and I was at the same end of the pool, I complimented him on his swimming. He did look stronger than most runners I know. As it turned out, his event in college was the steeplechase. I resisted asking him his best time. Most runners don’t like to be pinned down like that right away. It’s a bit abrupt and judgmental to just skip to the raw times without engaging in conversation about why they run, and how they’re doing these days. Context matters in all conversations. Yet as our conversation deepened he talked about his experience at a Division 1 program. He admitted he was not the top tier athlete at his school, but that he really enjoyed competing there. At that point it seemed fair to ask him his steeple time. And then it happened. 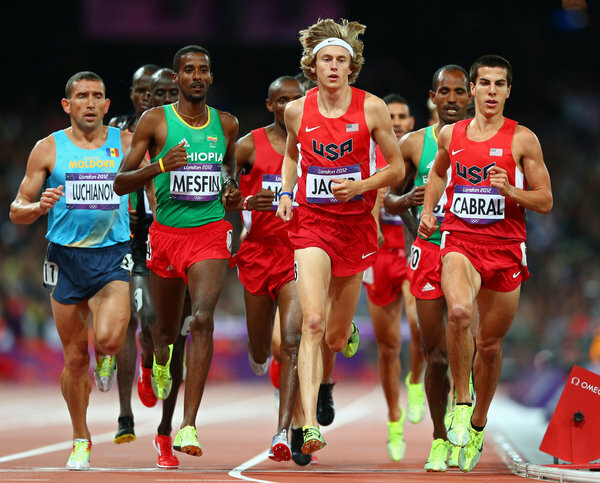 America’s best Steeplechaser Evan Jager runs times in the low 8:00 range. Alarm bells went off in my head. 8:17? That’s world class. That’s Olympic-level running. Today I checked the school record on the University’s website. Best time ever by a steeplechaser at that school? 8:49. Good, but not world class. No athlete at the college he attended has ever come close to running 8:17. So he’s a Liar. Or something like it. I ran 9:20 for the steeple in a conference track meet where. I held back in order to save some energy for an attempted double at 5000 meters. I had no business trying that double. It was too hard for me. We lost the meet not because those of us who won events and tried to come back in others ultimately failed, but because our best pole vaulter with the best height in the conference chose to pass all to 15 feet in a selfish shot for the individual title. He no-heighted. We lost a couple points or so. Had he jumped just one height and placed 5th or better, we might have won. 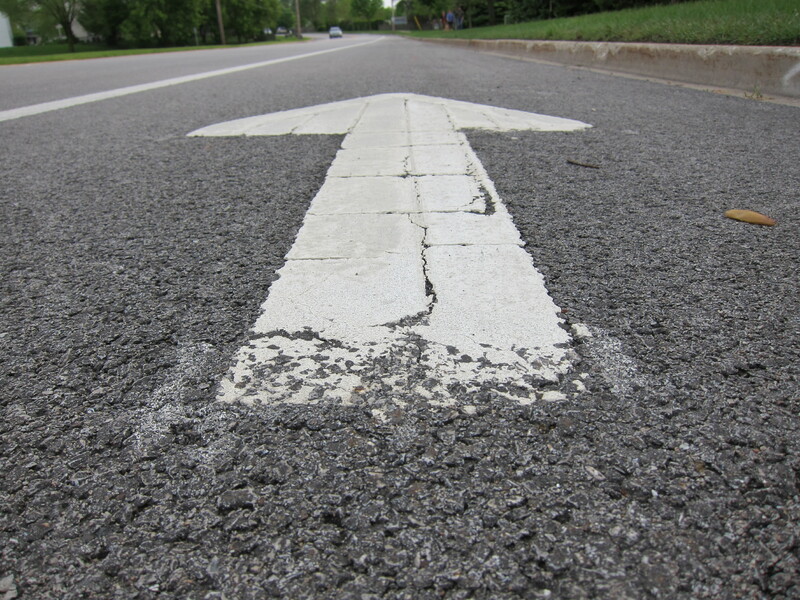 The individual choices we make are sometimes hard to reconcile even in retrospect. My desire to succeed individually was strong that day, yet the call to hold back with the goal of helping the team was a greater motivator. There really is an “I” in team. We get that wrong all the time. So all these years I’ve had to accept that my steeplechase PR could likely have been 5-10 seconds faster. It felt like I was jogging that day. Indeed, it might have helped going into nationals to have a 9:10 PR rather than a 9:20. A better time might have given me confidence that I could run with the best in the nation, or even made All-American, Division III. But those are excuses. My teammate ran a 9:14 and missed All American by one step. You make the most of the opportunities you are given. And live with that. Given these perspectives, it made me wonder what the guy at the pool hoped to gain by lying about his steeplechase time. 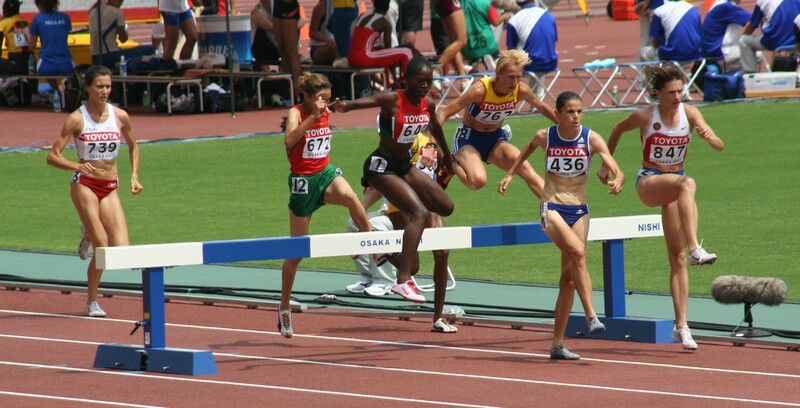 I mean, I could legitimately say I once won a competitive steeplechase in the time of 8:46. There is proof, too. At one point that time ranked me Number One in the college ranks in Iowa. But that time was a mistake. Meet officials shot the gun a lap early. I kicked in and won, but the race was a whole lap short. My real time would have been a whole lot slower, as you can surmise. When that time showed up on the college circuit one week in advance of the Drake Relays, people wondered where this kid from little Luther College got all that speed. Our small college went to compete each year against schools like Texas, Kentucky, Arkansas and Iowa State. Running against D1 athletes pulled us to faster times. But we weren’t delusional. I wasn’t entered in the steeplechase against Henry Marsh and the other world class runners at Drake because my real times did not justify it. I’d have finished a lap behind, or perhaps a little less. Being honest with yourself about your personal records, your work history or your military record is incredibly important. Your baseline self perception is equivalent to your character. Exaggerating your character or creating false images about yourself is living a lie. Is Congressman Paul Ryan capable of telling the truth? It’s hard to tell sometimes. “I literally thought that was my time. It was 22 years ago. 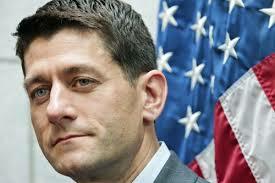 You forget sorta these things,” Ryan said in an interview with Toledo News Now. In a radio interview before his Republican National Convention speech last week, which was itself heavily criticized for factual deficiencies and outright fabrications, Ryan claimed that when he was younger he had run a “2 hour and 50-something” marathon. See, honesty counts. Character counts. Lying about your best running times is in many ways an indication that you cannot deal with empiric truth. Stuff like that bleeds over into politics, business, culture and even your religion. If you can’t tell the truth about something so cut and dried as the times you actually ran in the marathon, half-marathon or triathlon, how can you be trusted with the brand of truth that actually relies on using your judgment to discern the best course of action? It’s even tougher in cycling, where you might be able to ride 50 miles at an average speed of 18 mph. But jump in the draft of a really great group ride and suddenly your ride that 50 miles at 22 mph thanks to the pulls of those awesome buggers with big legs and big engines. Where is the truth in that circumstance? You rode all that way that fast, but how much was you, and how much was due to your ride partners? That’s one of the tarsnakes of running and riding. It’s best to mention in those circumstances that you were in a group going that fast. Of course Strava ignores all that. Even the empiric data in our world can do our lying for us at times. Yet in the end it really does matter what we say about how we run and ride. Remember that the next time someone asks for your PR. The true answer is always best. This entry was posted in Christopher Cudworth, Tarsnakes, We Run and Ride Every Day and tagged bikers, biking, cycling, dishonesty, honesty is the best policy, liars, lying, lying about PRs, lying about sports, Paul Ryan, running, running and riding, sports psychology, steeplechase, tarsnakes, telling the truth, there is no i in team, we run and ride. Bookmark the permalink. I agree w/ 2 Cups. It takes too much work to lie. I can barely remember the truth! This weekend I was on a long run with people I just met that day. They asked me about my marathon PR. We were running with one of my buddies who kept telling them I was fast. I don’t feel fast and didn’t volunteer any info. They asked me a few times and I had to answer eventually or look like a DB. When I told them my marathon PR was 3:47 they were genuinely impressed. They even asked my dvice on how to get faster. Wow. The truth may not seem impressive to us and many times it may not be impressive to the faster people we tell it to, but the truth can still be impressive to a lot of people. I agree with telling the truth regarding PRs.I have a story to tell about someone and their marathon PR. I ran my first marathon in Chicago at 38 years old and I trained for it. I finished in 3:06, I got to qualify for Boston. I thought that this was a decent time for the marathon. The following summer, I was with my kids and my sister at a local pool. My sister said there was a guy she knew who was at the pool who used to be a good runner. She pointed him out , said his name was Tommy and said to go talk to him. Sure enough, I went up to him and introduced myself .I said to him, ” my sister said you are a good runner.” Mind you, he didn’t look like a typical runner. It looked like it was a while since he was a runner, much less competitive. He said , ” when I was in my 20’s, I ran the marathon in 2:16. ” I found this to be incredible, but I couldn’t tell him that he was lying to me. I told him that I ran for a competitive team in NYC. He told me that he ran for the same team when he was younger. I smiled, said it was nice to meet him and I consulted my computer when I got home. What I found out was he was a very good boxer. He picked up running to help his boxing training. His training partner was Sal Vega, a northern NJ runner, who ran a 2:15 at the NYC marathon in 1981. That year Alberto Salazar won the marathon. I asked some of the older guys on my running team if they heard about Tommy. The computer and my teammates verified everything Tommy told me. He actually ran a 2:16 marathon and I was quite impressed. Regarding Rep. Ryan’s marathon time, I believe that everyone who runs and completes a marathon never forgets their time. I can’t imagine lying about race times. For starters, in today’s age it is so easy to verify for even small races. My 5k PR isn’t horribly fast (in the 22’s) but it was on a short course. Consequently, I don’t consider it my PR. Now the one I do count as my PR is only about 10 seconds or so slower on a course that is good. It was run a year or so later, but it still dates to 2003.